Park Forest, IL—(ENEWSPF)—February 19, 2013. 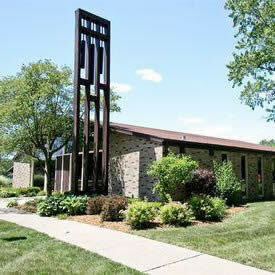 The Rehoboth Ministries Church of God in Christ, 300 Westgate, Park Forest, will hold its official church dedication on Sunday, February 24, 2013. Elder Osmond Jones, Pastor, invites the public to attend the services at 11 a.m. and 5 p.m. The 11 a.m. service will feature guest speaker, Superintendent Daniel Butler. The 5 p.m. service and ribbon cutting ceremony will feature guest speaker Bishop Ocie Booker, State Prelate, First Jurisdiction of Illinois. Additional information about Rehoboth Ministries Church of God in Christ can be found on their Facebook page HERE.